A special pop-up event is happening in Los Angeles for THE HAPPYTIME MURDERS. 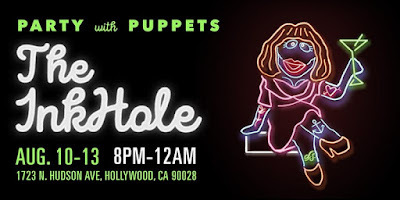 Use the Eventbrite link below to RSVP to Party with Puppets at The Inkhole! Step into the world of THE HAPPYTIME MURDERS and get an exclusive sneak peek into the NSFK (not safe for kids) world of puppet pleasures at the The InkHole, a one-of-a-kind pop-up tattoo parlor. 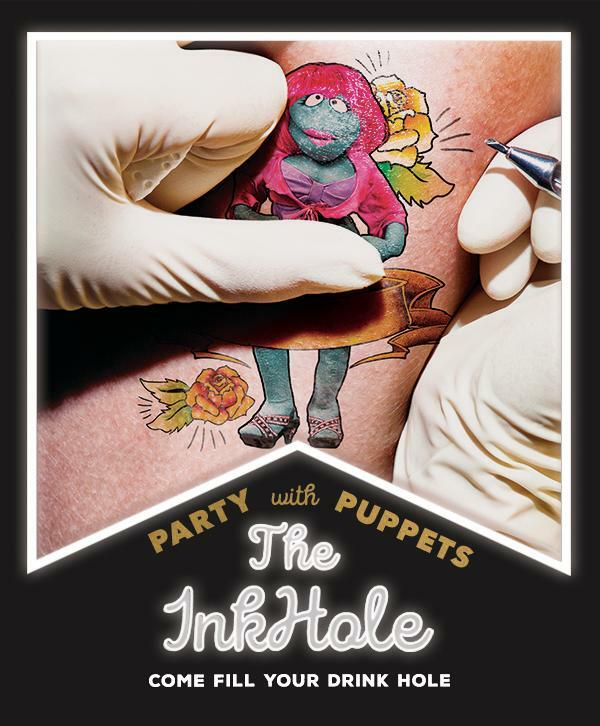 Word on the street is The InkHole isn’t just your average ink spot, but start gabbin' with the right people or puppets and you might find where all the real fun goes down. Rumor has it that in this secret speakeasy you can try your luck at Blackjack, grab a drink at the bar, and enjoy the risqué entertainment on the main stage. But you didn’t hear that from me. It’s a party stuffed with fluff, so come fill your drink hole at The InkHole. August 10th to 13th. 8pm to 12am. THE HAPPYTIME MURDERS is set in the underbelly of Los Angeles where puppets and humans coexist. Two clashing detectives, one human and one puppet, are forced to work together to try and solve who is brutally murdering the former cast of “The Happytime Gang,” a beloved classic puppet show. Starring Melissa McCarthy, Maya Rudolph, Joel McHale and Elizabeth Banks with Brian Henson directing from a screenplay by Todd Berger. Based on a story by Todd Berger & Dee Austin Robertson. Producers are Brian Henson, Jeff Hayes, Melissa McCarthy, and Ben Falcone.